This 167-acre park aims to serve surrounding communities by creatively repurposing an old golf course into a new destination, known as Owen’s Park at Bull Creek. McAdams assisted Franklin County, the community and involved stakeholders in the creation of a plan focused on the County’s vision to create outdoor enjoyment for future park users and experiences that honor the park’s history and transformation from roots in agricultural to an era of golf, and ultimately a community destination park. The planning process focused on identifying the highest and best use for the park, agency partnerships and revenue generation. 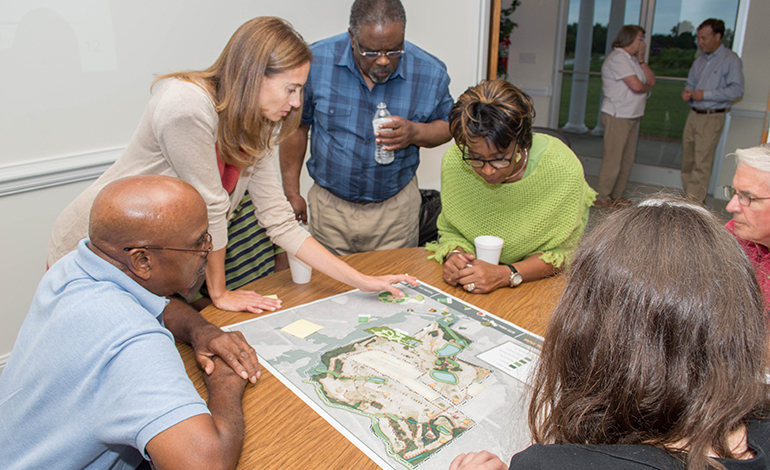 The master planning process revealed desired park programming through a robust and transparent public input process to include a series of public input meetings and needs assessment. 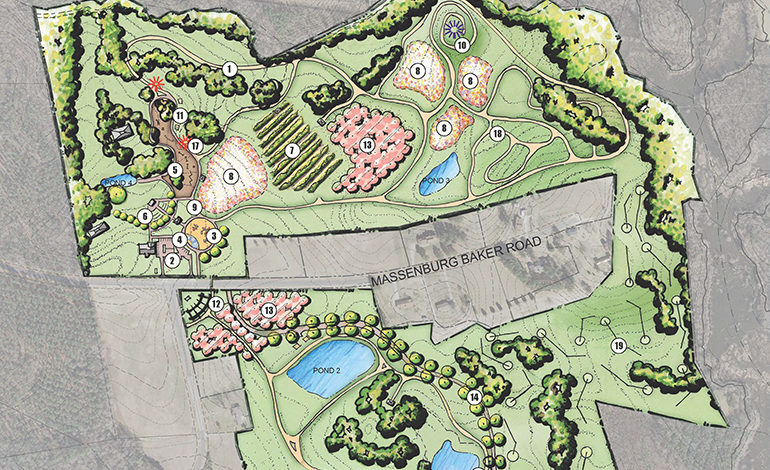 The resulting master plan features walking trails, a fishing pier, rustic camp sites, amphitheater, splash pad, demonstration gardens, agricultural exhibits for agritourism, environmental education stations, an open event lawn and associated infrastructure. McAdams also prepared a PARTF / LWCF grant application as part of the master planning process. Franklin County was recently awarded the LWCF grant for phase I of the park improvements, and a grant from the North Carolina Wildlife Resources Commission for construction of a fishing pier. McAdams prepared construction drawings and specification for implementation of Phase I improvements. The park is currently under construction and a Spring 2019 grand opening is anticipated.